No longer will the financial focus be solely on a model with high-up front sales costs and a high up-front and revenue recognition model. You must consider bookings that add recurring revenue; how to minimise churn to ensure high customer retention (renewal rates) and recurring revenue streams; growth in deferred revenue (contractually committed, but not yet recognised); and cash flow vs. revenue recognition as sales and marketing costs that are typically incurred ahead of a sale that recognises revenue in a recurring fashion. Samples of a few (but not all) of the important performance measurements for measuring SaaS business performance include: the lifetime value of a customer (LTV), customer acquisition costs (CAC), and net revenue retention (NRR). LTV measures the total revenue a typical customer is expected to generate over the duration or life of its relationship with publisher. Calculating the LTV involves the annual recurring revenue (ARR), churn rate and expansion. CAC is the cost to acquire a new customer, which then starts a recurring revenue stream. Acquiring new customers is more expensive than the associated renewal. NRR compares the ARR from existing customers at the beginning of the year with revenue from those same customers at the end of the year where NRR=[(ARR (End))-(ARR (Begin))÷ARR (Begin)] x100. As your company transitions to SaaS, your sales teams will probably transition to new goals and expectations. From the outset, make sure that everyone understands sales objectives, your strategy for measuring them, and how to maximise revenue in this new business structure. In general, aligning sales compensation to bookings and an “up-front” revenue recognition model works well in a perpetual model, but you must adjust the approach to accommodate cash flow and cost-of sales considerations. Before deciding on how sales compensation should change, consider the underlying business strategy of the SaaS organisation. Examples of different strategies may include: collecting as much cash up-front as possible to improve cash flow; signing longer-term contracts to increase deferred revenue; beginning with a small footprint, then growing the account to gain market share; expanding or up-selling existing customer deployments; adding new customers (new logos); optimising the initial deal size; or ensuring high customer retention/low churn. Objectives: Acquiring new logos to grow, minimising churn, expanding recurring revenues with upsells, and achieving higher margin deals. --Outside Sales – Will focus on new logo acquisition and some expansion for larger accounts. Compensation is on booking new logos with multi-quarter or multi-year agreements; the commission rate is higher than for the other team. --Inside Sales – Will focus on renewals and expansion revenue for smaller accounts. This team also works closely with the Customer Success organisation (described in more detail below). Compensation is based upon renewals of existing accounts with upsell compensation for smaller accounts. The inside sales team usually has a lower commission rate spread over many accounts as the renewal and upsell of an existing customer is expected to be faster and with a lower-cost-of-sale than the initial customer acquisition. As you change how you deliver your service via SaaS, you’ll need to make a parallel change to business processes and systems. Your engineering, development operations and SaaS operations need to determine the type of infrastructure that your SaaS will run on (multi-tenant vs. multiple single tenants) and whether to build your own infrastructure (private cloud) or outsource your SaaS structure. Today most companies choose to use professional SaaS infrastructure provider or infrastructure-as-a-service (IaaS) provider, such as AWS or Azure. They offer security, scalability and the ability to get SaaS-enabled applications to market quickly. A supplier’s choices for outsourced infrastructure also include public cloud and hybrid cloud/hyper-converged infrastructure. Each option has its merits. The best SaaS deployment model for your organisation will include evaluations of things like whether your software is a pure SaaS offering or whether it can be on-premises; how easily the system scales; data protection and security measures; and how compliance issues will be addressed. The actual fulfilment of a SaaS service and the beginning of a subscription model may not begin until after a SaaS service is provisioned and integrated with other systems in your customer’s organisation. The “install base” – the contacts and organisations using the software for the purposes of supporting renewal revenue – must be identified properly. SaaS “tenants” need to be provisioned quickly and properly based on each customer’s order in order to provide the service to the customer. Processes must be in place to manage subscription amendments or the subscription lifecycle (renewals, mid-term upgrades, downgrade, quantity bumps, co-term, etc.). A centralised monetisation system (which centralises entitlements, provisioning, usage and health monitoring) can help the integration. 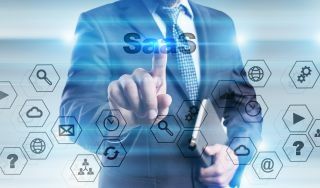 For SaaS and most software, the systems/processes are built to track ongoing deployment, usage and updating of the products. All those processes are critical to ensuring satisfied customers—and a strong recurring revenue stream. If you are migrating to SaaS from a traditional on-premises deployment model, an effective monetisation system should support both the SaaS and the on-premises deployments of your products to minimise costs and provide a unified management dashboard for both SaaS and on-premises assets. Most SaaS companies have a dedicated and focused Customer Success organisation with a leader who is a part of the senior leadership team. This organisation may combine various existing departments such as Support and Services along with a new type of department called Customer Success Managers (dedicated to successful customer outcomes). The exact composition of this organisation may vary slightly among different SaaS companies. The reason for this organisation is that, more than ever, your company must measure, analyse and drive successful customer outcomes to protect and augment a recurring revenue stream. A successful Customer Success organisation is one that is measured not only by the work they do with customers, but also by how they collaborate with all other departments within the organisation (i.e. development, marketing, sales, services and support). Once your organisation is structured to ensure customer success, learn to create an ongoing focus on each customer relationship. The size of each customer will determine the mix of people, processes or systems that are required for customer interactions and measurements of success. Nourish a strong customer relationship by helping your customers become productive immediately. Help them use your product successfully so that they can achieve desired and promised results and can use your product to its fullest. Successful adoption reduces churn and can increase renewals. Provide continuous value via ongoing programs and product enhancement. Finally, remember that insight and transparency into product usage provide baseline data to measure the product’s adoption and to help further refine your offer. When you meet then exceed the needs of your customer, you become a strategic partner, not strictly a software supplier.